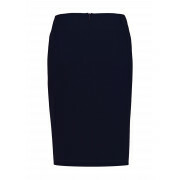 This navy skirt from Gerry Weber is sure to become a go-to item in your wardrobe. 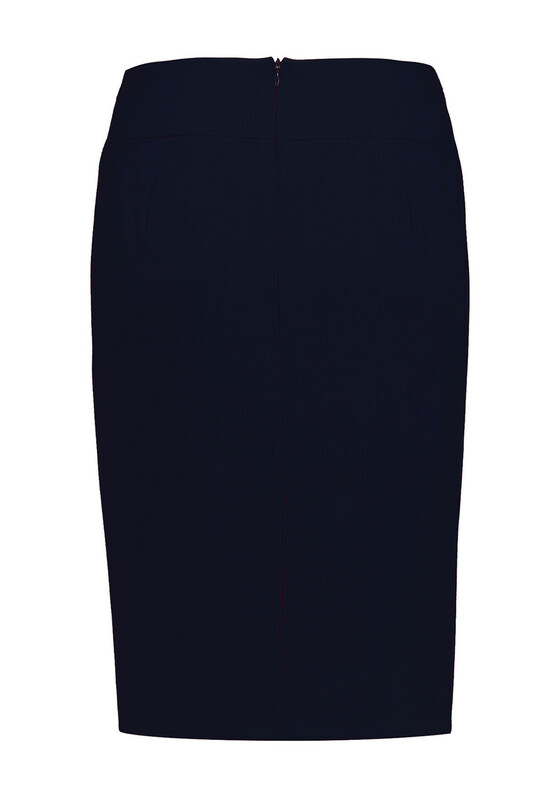 Wear with a plain or printed blouse to create a stylish AM to PM look. 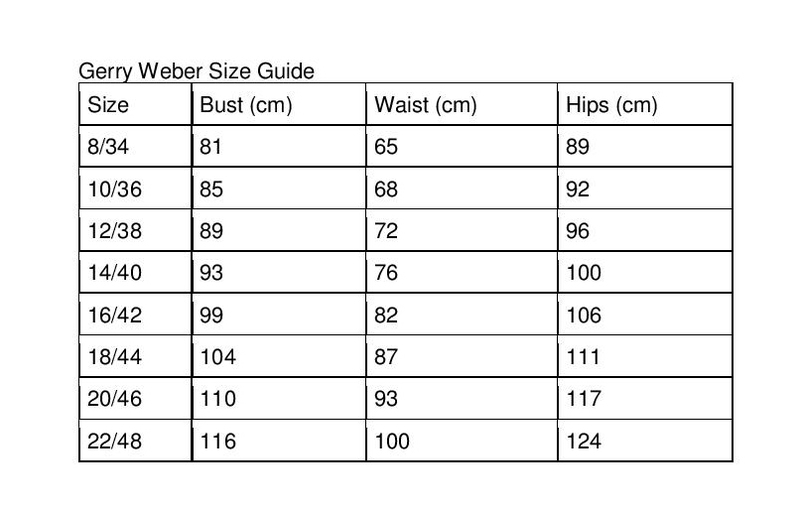 Crafted from fully lined lightly woven fabric with a textured pattern. 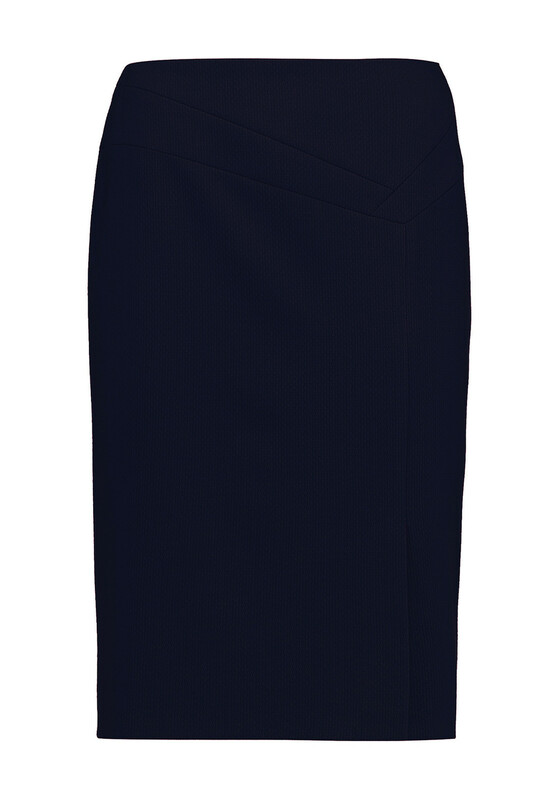 Designed with a classic straight pencil shape and featuring a small slit on the front and concealed rear zip.